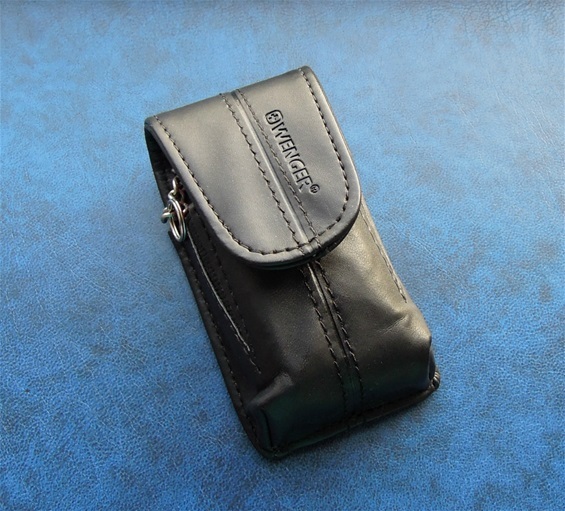 Today i will show you another Wenger pouch that i managed to find. This is made for the 85mm Wenger knives with many layers of functions. It is quality made and it is a combination of mostly leather and some fabric. I especially like that the inside of the push button is hidden so it will not scratch the tool. It got soft fabric inside of the pouch or case. It is called the Wenger Case 23 and it is one of my favorite ones I have found so far. Most 85mm Wenger pocket knives fit the pocket without problems. The 85mm knives with many layers do not rest easy in a pocket and it will be uncomfortable. 85mm tools with many layers are best carried in a pouch or backpack. 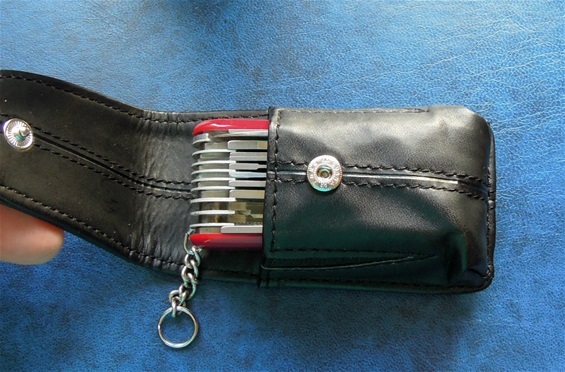 These knives are made for use and this pouch can actually take one or two more layers of functions. I have learned that larger SAKs like this are a bit more protected in a safe carry. They are also best so when in a shelf or on top of furniture indoors. The case 23 also got elastic portions so it will get the best fit possible for the 85mm knives. It is also beautiful in design. 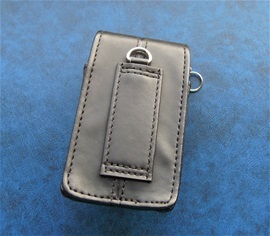 Some parts of it is double leather with a between material for the stability and so the design is a bit sturdy.